Hey! Want to improve your English? Visit my FREE Daily English Lessons! 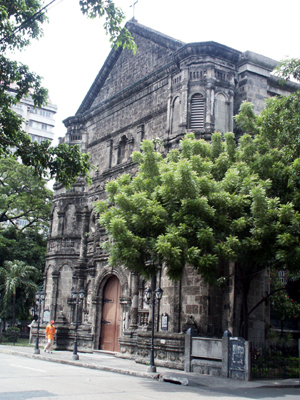 The Malate Church (Our Lady of Remedios Parish) is just down the street from the pension where we usually stay in Malate. It stands just behind the large statue of Rajah Sulayman as you look from the Roxas Boulevard "Baywalk" on Manila Bay. 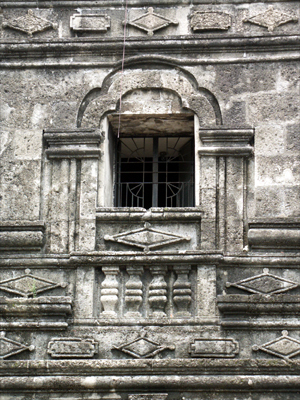 Church of Malate: This section of the city dates back to 1588. 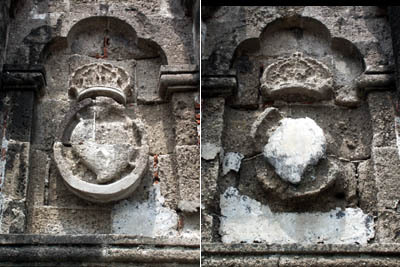 The titular patroness of this church is Nuestra Senora de los Remedios whose statue was brought from Spain in 1624 by Rev. Juan Guevara, O.S.A. 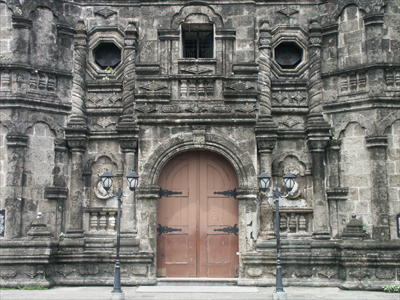 The British landed their troops near these shores in 1762 and used the church of Malate for protection for their rear-guard in the capture of Manila. 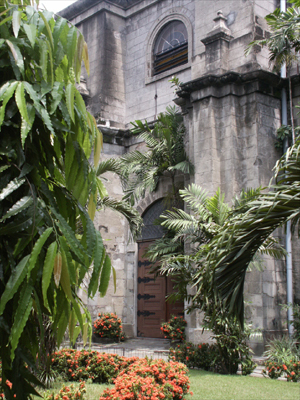 This church was greatly damaged by the earthquake of June 3, 1863 and was rebuilt by Rev. Francisco Cuadrado, O.S.A. The parish has been under the successive administration of the Augustinians, the secular clergy, the Redemptorists, and the Columbans. 1937. As the plaque was placed in 1937, there's no mention of what may have happened during the Japanese occupation or the bombing of Manila. The Wikipedia article adds that Nuestra Senora de Remedios is "Our Lady of Remedies" who is the "patroness of childbirth." It also says that the statue brought in 1624 still "stands at the altar." The final historical note reads "the church was destroyed in 1773 and was rebuilt. It was also badly damaged in World War II, and later restored again." Subscribe to "The Philippines: Places"